Shape Moth: I won! I won! I won! Yey (*squeal*)! I won! 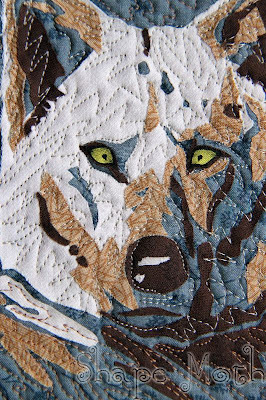 Designers from Patchworkowa Gwiazda Blog honoured my Wolf Mini Quilt as the best from the works submitted during 9 editions of Monday Link Party. Congratulations -- I think they made the right deciion. Ohh congrats...that's wonderful. Your wolf piece is awesome! !